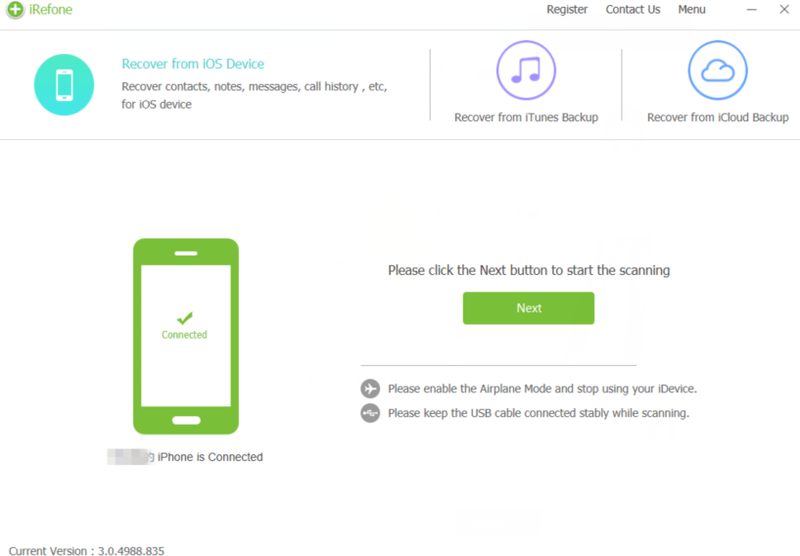 To recover iPhone data, the official method provided by App is using iTunes or iCloud. Well, if you have no iTunes or iCloud backup or you do not prefer the whole restore, you can apply the alternative workaround we provide here. It would be possible to restore WeChat data without iTunes or iCloud under the help of iRefone. With it, you can selectively get your Wechat data back out of the backup. 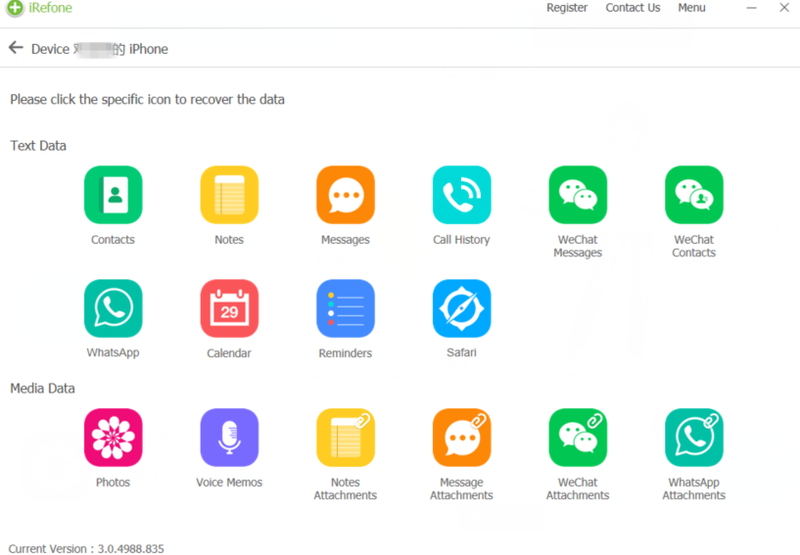 Besides recovering WeChat data without iTunes/iCloud, you can also rely on this reliable tool to back up your iPhone data in a safe manner. For Mac users, pleas get iRefone for Mac. Just download it from our official website. The following part will show the specific steps of restoring WeChat data from iPhone no iTunes or iCloud backup. Step 1. Run the best iPhone data recovery software and connect your iPhone with computer using the USB. If it is the first time that you connect iPhone to computer, just click on “Trust the computer” to go on. Then the software will detect your device automatically. Step 2. Choose the data you need to scan in iPhone. Click on the icon of WeChat to start the scanning. Step 3. When the scanning is finished, all of the WeChat messages will be displayed. You could preview these messages in the software and select these you need. Then click on “Recover to PC” to save these data.